Foundation staff matter. That was the main point of a series of data-based blog posts written by CEP President Phil Buchanan earlier this month. In the series’ penultimate post, Phil mentioned that, during the opening plenary at our May 2015 conference, I shared some of the strong connections in our data we see between grantee and staff experiences with and perceptions of the same foundations. On the second day of our conference, I led a breakout session that focused on those connections. I’ll share more on that below, but something struck me about that second session. I was delighted the session had a full room — mostly of HR and operations staff, and a few program staff, as well. But no CEOs joined. None chose that breakout, at least in my memory. So what were these connections that I think require the attention of every leader of a grantmaking foundation? 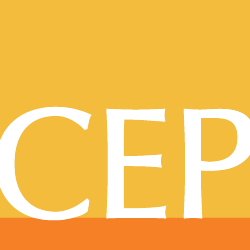 In analyzing contemporaneously collected grantee and staff feedback, my colleagues on CEP’s research team, led by Ellie Buteau, found a number of important connections. In particular, higher grantee ratings of a funder’s clarity and consistency were strongly related to funders at which staff reported higher levels of empowerment — decision-making authority, opportunity to use creativity and be innovative, excitement about how individual work contributes to a funders’ overall goals, etc. In addition to the findings about empowerment, we see that foundations whose staff believe more strongly that they understand the fields and communities in which they work tend to have grantees who perceive the foundation to have more impact on their fields and communities. A foundation’s internal culture of learning and improvement matters in terms of grantees’ experiences, as well. The more strongly foundation staff agree that their organization learns from past performance when designing new programs, the more strongly grantees tend to rate the quality of their relationships with the foundation and its staff. It’s clear that what happens inside a foundation’s walls ripples outward. For me that raises important questions about the ways in which foundation CEOs and other leaders are proactively defining and creating the kind of internal culture and practices that enhance or inhibit the success of their grantees. As the great business thinker Peter Drucker once said, “Culture eats strategy for breakfast.” Worthy goals, a great strategy, and smart decision-making processes aren’t enough on their own to ensure foundation impact. In creating impact, staff matter. Staff engagement, learning, and expertise matter. These aren’t topics that can be addressed just once in a while — devoting real time and energy to “that culture stuff,” as a foundation CEO described it to me recently, matters. Kevin Bolduc is vice president of assessment tools at CEP. Find him on Twitter at @kmbolduc.